Ever since Tom Cruise Jumped the Couch (a phrase he inspired) on Oprah it has been pretty much a free for all on implying he's some kind of whacko. 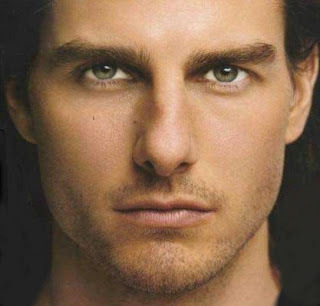 Granted Tom Cruise was pretty outspoken before the couch thing with his Scientology views but is he really the new Michael Jackson? I've nothing against Michael, I'm a fan of a few of his songs, but the media and his own odd behavior, sent his career down a path that he may never recover from. Michael still has a strong fan base but the 'whacko Jacko' moniker will probably never leave him. However Tom Cruise seems to be taking over as the media's main celebrity to target for bizarre actions or 'out-there' views. Hence whenever anything goes wrong or he happens to express a view that is a little less than media mainstream it gets reported widely. Particularly if it has links to Scientology thinking - like that's some kind of crime? I haven't heard Tom express any Scientology view that couldn't be transposed to many other religious ideals. 'Scientology can unite cultures' according to Tom. Yes that is 'whacko' thinking right there... oh wait, isn't that what Christianity tries to do - unite people through religion? What's worse is that the media extends it's coverage to Tom's partner, Katie Holmes, whom seems to get a whole load of bad press just because she's Mrs Tom Cruise. This is particularly true of her performance in Batman Begins, which I thought was at least comparable to other supporting actors in that film and by no means so poor as to say she was miss cast. In fact I preferred her performance of Rachael Dawes over Maggie Gyllenhaal's (who felt a little too 'old' for Bruce Wayne in The Dark Knight). Tom isn't that whacko and really doesn't deserve all the bad press. As a Scientologist, expressing the views of his church is no different from a Christian, Catholic or Muslim doing the same. That's not crazy behavior. Jumping on Oprah's couch was a little crazy but in a fun, good natured way. The guy was, at the time, in a new, head over heals in love, relationship. He was simply expressing that in the irrational, silly way that most people do when they're deliriously happy. Like you've never done something nuts to express your joy? I think the media is trying to manufacture Tom as another 'whacko Jacko' to sell content, magazines, pictures or whatever else it is they're pushing as 'news'. The fact is, he's still a great actor with a catalog of fine performances under his belt. The constant focus on his problems is unnecessary. It seems like the media are reporting on every bit of bad publicity they can find related to Tom in the hope that it will paint the 'whacko' picture for them. With any luck Tom is smart enough not to feed the media with any more couch like jumping frenzies. He isn't the new Michael. Not even close. I haven't seen or heard all that media stuff about him. Well, I like him anyway. He's a good actor. Most of the bad press you run into on the internet - if you're like me and follow these things. Not the bad press that is. I just like to keep my eye on entertainment and movie news for info about upcoming films. Tom Cruise is in Ben Stiller's new movie Tropic Thunder playing a completely obnoxious and offensive movie mogul. As you'd expect he does it well and is unlike anything you've seen Tom do before. Is role isn't widely mentioned in the movie's reviews because it's kind of a surprise for movie goers but I'd say enough people know about it by now to not really spoil it for anyone.